- AZERBAIDJAN - Ikinji Shikhli - Azerbaijani archeologists have discovered a new fact of history that is associated with the Azerbaijani-Georgian border, Head of the Ganja Archeological Expedition of the Archaeology and Ethnography Institute at the Azerbaijani National Academy of Sciences (ANAS), Arif Mammadov, said. "The expedition led by me in the Ikinji Shikhli village in the Gazakh region, particularly on the high sandy hill at the confluence of the rivers Kur and Khram (or Anahatir), discovered the ruins of the Hunan city existed in the Middle Ages," Mammadov told Trend. Earlier, the Azerbaijani and Georgian scientists believed that the Hunan city existed between the villages of Khatinli and Alimardanli in Tovuz, he said. But the Azerbaijani scientists, referring to the written sources and new archaeological data, have proved that the Hunan city existed in the Ikinji Shikhli village in the Gazakh region. He said formerly Georgian scientists referring to the fact that the Hunan city is located in Tovuz, claimed that Georgian border extending to the Tovuz region. "But finding the exact location of the Hunan city has given new facts. So, if we consider that in every great feudal town played a major role at least at a distance of 150 kilometers the Middle Ages, then Hunan was a major center for Borchali, Bashkechida, Basarkechera, Shamshaddil, Yerevan , Tbilisi and other Azerbaijani lands," Mammadov said. - ROYAUME-UNI – Inverness - THE site of the new £75 million University of the Highlands and Islands campus in Inverness has been inspected by local MP Danny Alexander. In April, evidence of Bronze and Iron Age settlements were found on the site at East Beechwood. The remains of timber-built roundhouses and crop marks have been recorded. Archaeologists also uncovered a flint flake and fragments of prehistoric pottery, including Neolithic grooved ware. AOC Archaeology Group surveyed the site for developer Highlands and Islands Enterprise (HIE). - USA – Colorado - Amidst a scattering of homes in a southwestern Colorado residential development called Indian Camp Ranch, archaeologists from the Crow Canyon Archaeological Center are unearthing clues to the distant past. In a unique cooperative agreement with Indian Camp Ranch landowners, Crow Canyon is embarking on a new research project this year titled the "Basketmaker Communities Project: Early Pueblo Society in the Mesa Verde Region." The project will shed light on a pivotal, but underinvestigated and poorly understood, time in Pueblo Indian history: the Basketmaker III period. 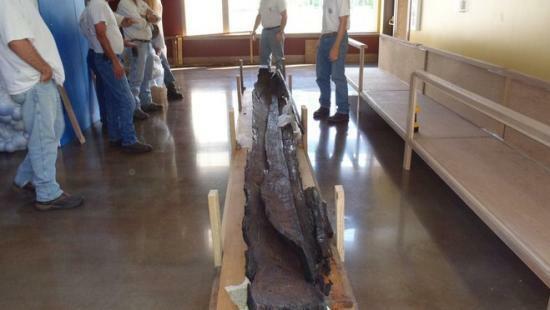 “We’re really excited about the project,” said Shanna Diederichs, supervisory archaeologist for the project. “There has been a lot of focus on the ancestral Pueblo people who built the cliff dwellings at Mesa Verde and their migration from this area in the late 1200s. What we are focusing on with Basketmaker III is the first migration into the area.” The Basketmaker III period (A.D. 500 to 750) saw the earliest substantial occupation of the Mesa Verde region by Pueblo peoples. (The term Basketmaker derives from the exceptionally fine baskets found at some archaeological sites inhabited during this time.). The period was one of rapid population growth, great technological advances, and social change. Farming became increasingly important and pottery and the bow and arrow were introduced at this time—technologies that would serve the Pueblo people for hundreds of years. And, for the very first time, the people of the Mesa Verde region began to build large, public structures called "great kivas" where community members could gather for important events. The centerpiece of Crow Canyon's Basketmaker Communities Project is the Dillard site, located within Indian Camp Ranch. The site, which includes a great kiva, is an ancestral Pueblo ceremonial center believed to date from the seventh century A.D. Crow Canyon will also excavate at a number of pithouse (a semisubterranean residence) sites surrounding the Dillard site. Together, these settlements constitute the most extensive and best-preserved Basketmaker III community known in the central Mesa Verde region. - INDE – Pandavulametta - A recent discovery by a freelance archaeologist of a huge dolmen, stated to be the biggest of its kind in South India and dating back to the Iron Age (between 1,000 B.C. to 500 B.C.) at Pandavulametta, Srikakulam district in Andhra Pradesh, was confirmed by the State Archaeology department. 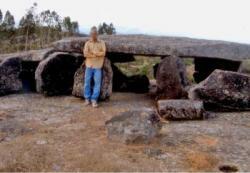 A dolmen is an ancient burial place, built in a rectangular shape with an opening and covered by a huge capstone. The discovery gained a lot of significance as it is the biggest dolmen reported from A.P., measuring 36 feet in length and 14 feet in breadth with a thickness of two feet. The single largest capstone weighed more than 50 tonnes. An anthropomorphic incision on the floor of the dolmen and occurrence of post holes all around it clearly suggested that it was an important worshipping place during Iron Age, according to Prof. Reddy. The locals held that Bhima of the Pandavas lifted it single-handed and hence the locality is called Pandavulametta. A press release here said Prof. Reddy and Mr. Rao hold that the presence of the post holes was meant for erecting temporary structure during annual ceremonies. Mr. Rao said that during exploration, he also found a small cave which might have habituated by the Iron Age people and occupied later by the Jains during the 1st – 2nd Century A.D. as attested by the discovery of the rock cut beads.